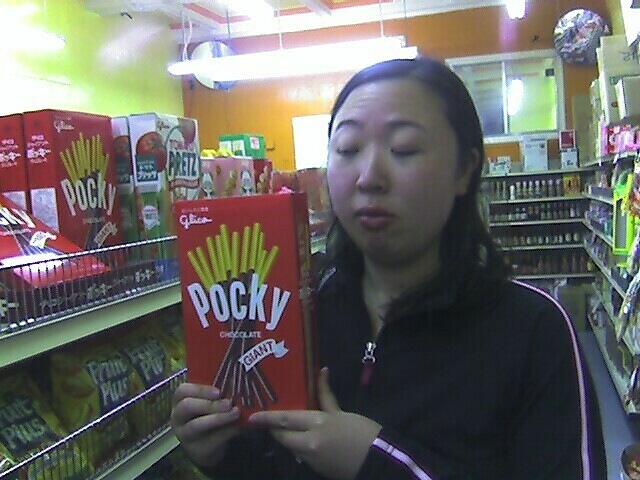 Giant pocky. Instead of huge chocolate on huge wafer sticks, I picked up a melon soda and a multi-vitamin jelly in a space-age pouch. Update: The Melon Soda was pretty awful. The multi-vitamin gel taunts me from the fridge. "Yes, try me. I won't hurt... much."